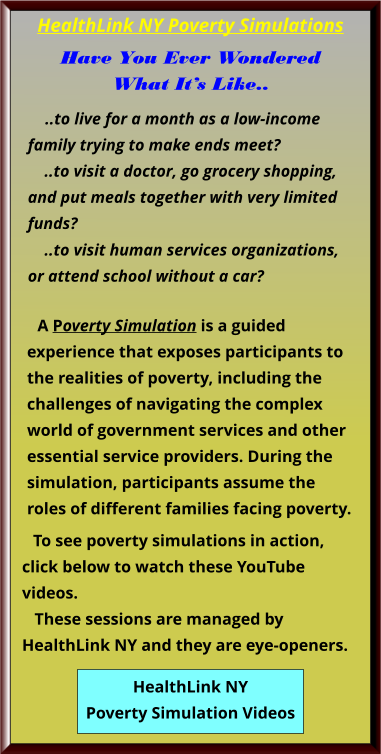 is provided to those in need. Lunch is served from 12:00 to 1:00 p.m. on Tuesdays, Wednesdays, and Thursdays at the First Baptist Church of Brewster, Main St., Brewster. Un almuerzo nutritivo y gratis se proporciona a los necesitados. El almuerzo se sirve de 12:00 a 1:00 p.m. los martes, miércoles, y ahora jueves en la Primera Iglesia Bautista 460 Main St. Brewster NY 10509. Thank you to ALL our soup kitchen volunteers throughout the year. You provide a great service to people, cooking and serving a hot meal and offering conversation and caring. During this winter season, CAP added a fourth day and opened the soup kitchen on Fridays. We offered not only lunch but shelter during the cold season. The 17 weeks that we were open on Fridays coincided with the operation of the homeless shelter (Brewster Emergency Shelter Partnership). Need Help? Not sure where to go? 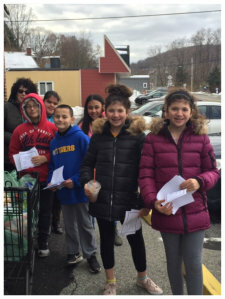 Watch Judy Callahan, Putnam Cap/WestCOP and Martha Elder, Second Chance Foods explain how their organizations are helping to end hunger and food waste in Hudson Valley. 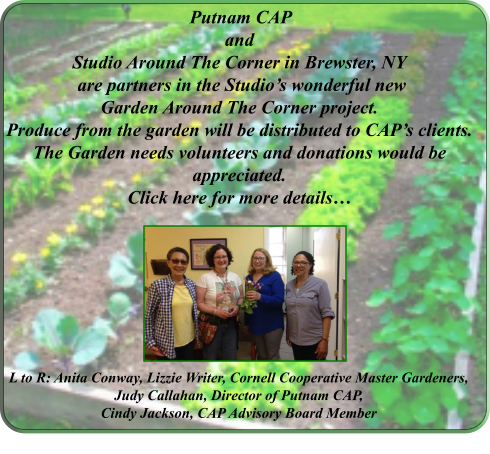 This program originated at "Locally Sourced", a community volunteer-produced public access TV series showcasing individuals and organizations in Putnam County NY and the mid-Hudson Valley. 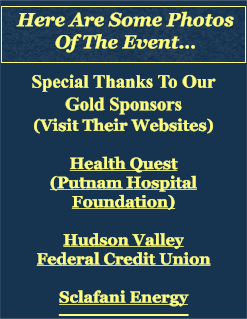 Putnam CAP works closely with many local community organizations to provide our services and organize our events. We greatly appreciate the help we receive from them and encourage you to visit their websites, learn about their valuable services and support their efforts. The Helpful Guide to American Schools was created to assist immigrant parents in their quest to support their children enrolled in local schools. It provides general information on school policies, culture & norms, and is a tool to assist children assimilating to the American school system. 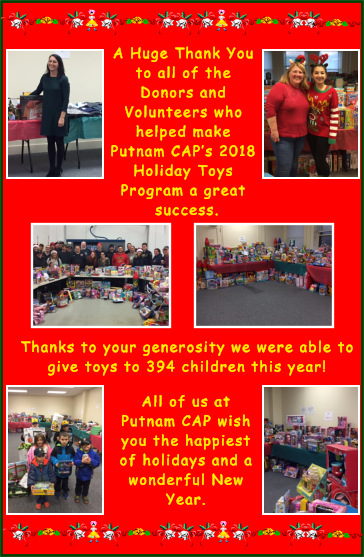 The guide was created by Putnam CAP with the valuable assistance of the Social Workers from Carmel & Brewster High Schools- Karin Brenner (CHS), Henrietta Lodge (BHS). 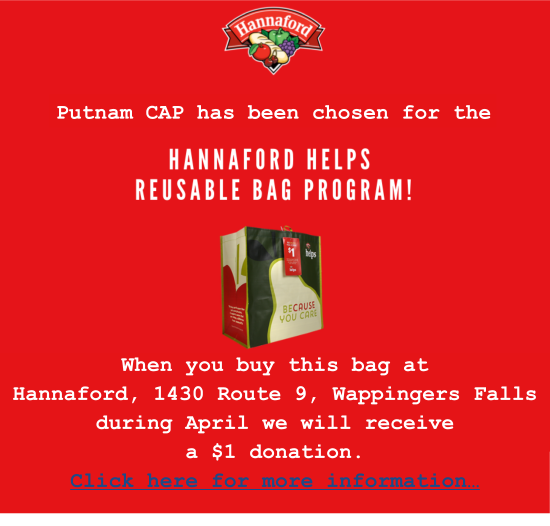 Become a friend of Putnam CAP. Sign up to be sure you're kept informed of the happenings at CAP, current community needs and upcoming programs. Gift Cards for grocery stores, gift shops and other retail outlets are very much appreciated by our clients. A gift card of $25 for local shops can be a great help to families in need of assistance. 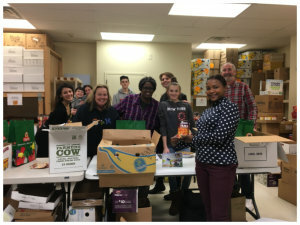 Our Food Pantry Needs Your Help! are unable to purchase with SNAP coupons. Your donations of these items would be a great help to us. We thank you for your caring and support.